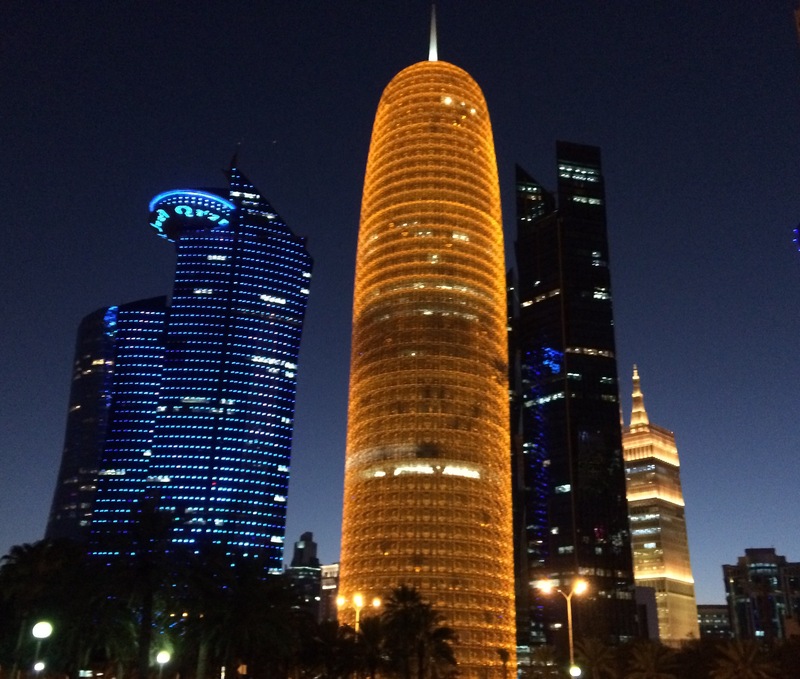 Jyväskylä Educational Consortium started to organize Further Qualification in Learning Support and Morning and Afternoon Club Activity in Doha, Qatar, in autumn 2016. Our role is to organize preparatory training and competence test assessments there. We – Kaisa Lassila and Jyrki Veistämö two teachers visiting Doha – had a great opportunity to be a part in this process. 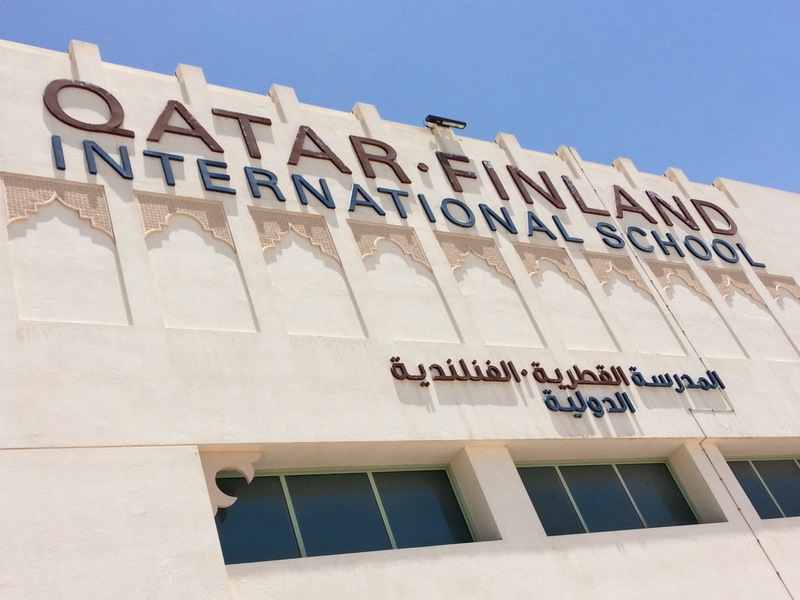 We travelled to Doha, Qatar in June 2017 to assess Learning Assistants´ competence tests in Qatar-Finland International School (QFIS). Our trip to Doha started from Tikkakoski and the weather was quite typical of Finnish summer: +4 degrees Celsius and a little bit cloudy. 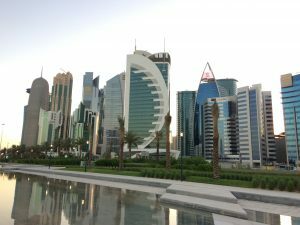 When we arrived in Doha in the afternoon, the weather was sunny and the temperature was plus 38 degrees Celsius. In the airport the taxi driver said that the weather would get even warmer during the week. There was also the Ramadan season going on so all the shops and restaurants were closed during the day. There are eleven learning assistant students studying Further Qualification in Learning Support and Morning and Afternoon Club Activity/Instruction. 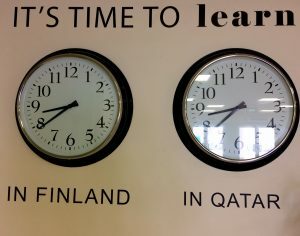 The students come from different cultures. They had two competence test assessments: UNIT 1 (Working in the occupation) and Unit 2 (providing support and guidance for growth and development). Learning assistants (LA) work at QFIS in different grades; in Grade 0 the students are four-five years old, in grade 1 five-six years old, in grade 2 seven-eight years old. In grade 0 the LA is present in the classroom all the time, but in the upper grades the LA is a ”floating assistant” helping students in different subjects like maths, Arabic, English etc. Now a few words about the assessment process. All the learning assistants and also each employer representative/ assessor (class teachers) and employee representative/assessor were carefully prepared to assess both of these modules and different assessment targets and criteria. Also all the LAs had done a great job both with the actual work during the competence test days in both modules and filling in their self-assessment forms. The assessment meetings were held at school and they took about an hour per candidate. First we gave an opportunity to the candidate to go through their self-assessment and then there were excellent professional discussions on how different targets showed in the candidates’ daily work. Learning assistants were very professional and they all passed both modules. We think that the assessment process was quite similar in both countries. Every one of us thought that the assessment meeting was a great opportunity to get valuable feedback of our work and a possibility to reflect on how we work. On behalf of our Institute we were very satisfied that the QFIS staff had done so wonderful job to guarantee that the practical arrangements were well organized. To guarantee that everything will go well in the future as well, we have to keep up discussions about the partner’s expectations of good practices concerning the competence test and the assessment. During the week we also had an opportunity to explore Doha. The City of Doha was very clean, friendly, hot and sunny. We went to see different shopping malls and we also visited the Souq Waqif bazaar area, Pearl area, and the MIA’s (Museum of Islamic Art). After the working days we relaxed by walking in the seafronts and admiring the skyscrapers and all the amazing cars. It was something you won´t see every day in Finland.